A beautiful Christmas card designed for someone special! 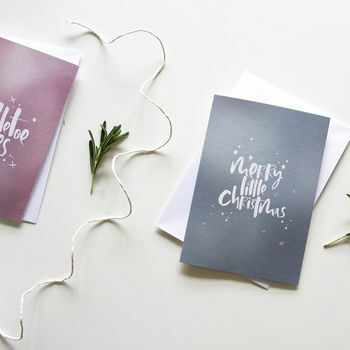 Our luxurious hand lettered 'Winter Wonderland' Christmas cards are designed with a magical touch and festive spirit. 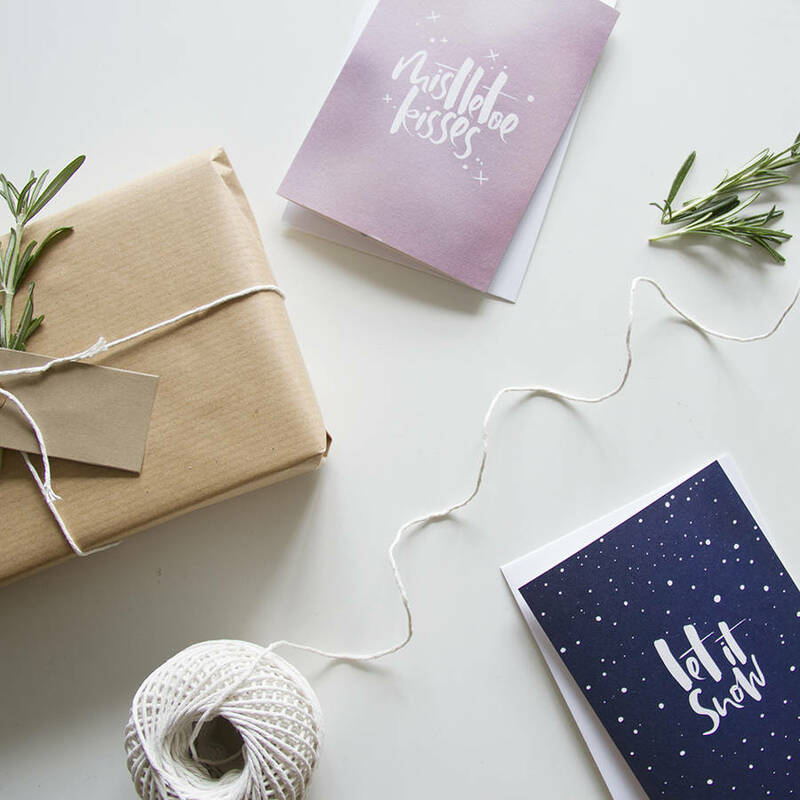 Originally created with a pot of ink and a Japanese brush pen, our cards are then digitally edited, printed on luxurious FSC certified textured card and teamed with a crisp, snow white envelope. The perfect choice for friends and loved ones near and far this Christmas! 'Merry Little Christmas', 'Let it Snow', 'Mistletoe Kisses' & 'Noel'. 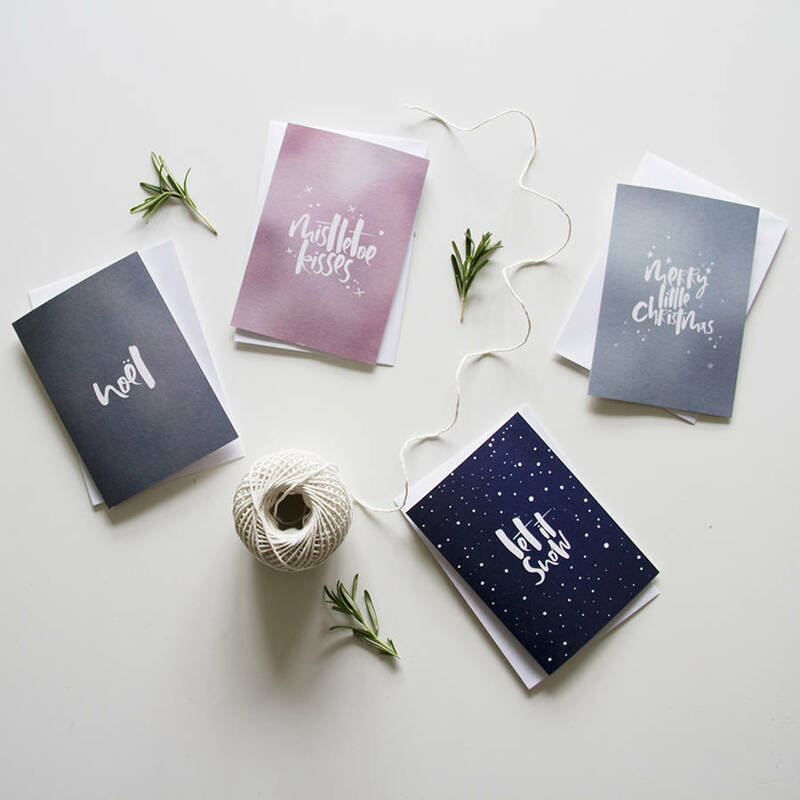 * An assorted pack of four cards includes one of each design. * An assorted pack of eight cards includes two of each design. Please use the dropdown menu to select your choice.